These are full Traditional Catholic sermons that follow the Latin Mass missal. The collection by the renowned Rev. Zollner should be a keepsake in every Catholic home or in the library of the Church catechist. A perfect gift for the busy Traditional Catholic priest, each volume contains two homilies, a sermon on doctrine, one on the liturgy itself, a symbolic sermon, and a moral sermon. 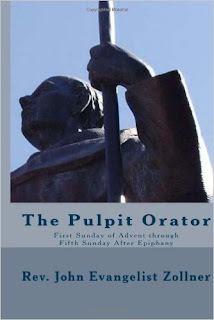 Volume 1 of the 6 volume set covers the First Sunday of Advent through the Fifth Sunday after Epiphany.